I'm not asking for opinions, recommendations or reviews. 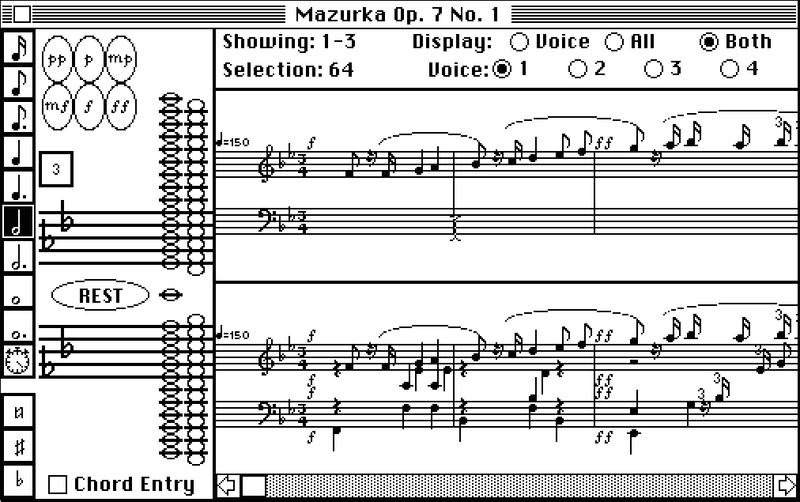 I'm looking for professional, graphical music creation software for the classic line of Macintosh computers. I'm not looking for mod or tracker applications. But applications where you can drag-n-drop musical notes on sheet music. Please include information such as the names of applications that were produced. According to the About box for Version 2.00 from 1985, the program was written by Chad Mitchell, Robert Gardner, and Boyd Edwards, and was published by Great Wave Software. Not the answer you're looking for? Browse other questions tagged software mac-os-classic or ask your own question.